Electromagnetic Hypersensitivity is when a person has reactions during an exposure to a electromagnetic fields. Examples of sources of these are wireless devices such as cell phones (radio frequency radiation) or power lines (ELF extremely low frequency magnetic fields). For wireless, a magnetic field is sent a short distance or a very long distance depending on the strength of the signal that is required to reach the device receiving the signal, such as a cell phone tower. During this process everyone is exposed to these signals, many do not feel them, but EHS individuals may react in different ways. Some can feel the radiation exposure like a sun burn on your face, others get headaches, and other feel very tired. These are just a few examples of the many reactions people have reported for the last several decades. 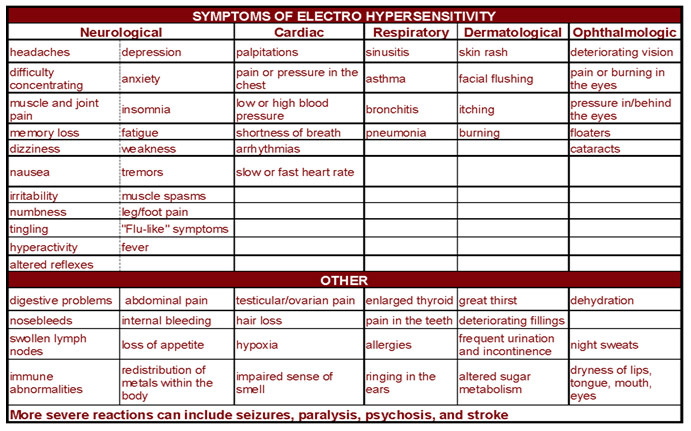 What are Symptoms of EHS? Are you feeling tired, suffer from sleepiness, depression, increased irritability, unexplained aches and pains, headaches, skin rashes, ringing in the ears, numbness, an irregular heart beat, increased blood pressure or a foggy brain? If so, you may be suffering from “Electrosensitivity”. 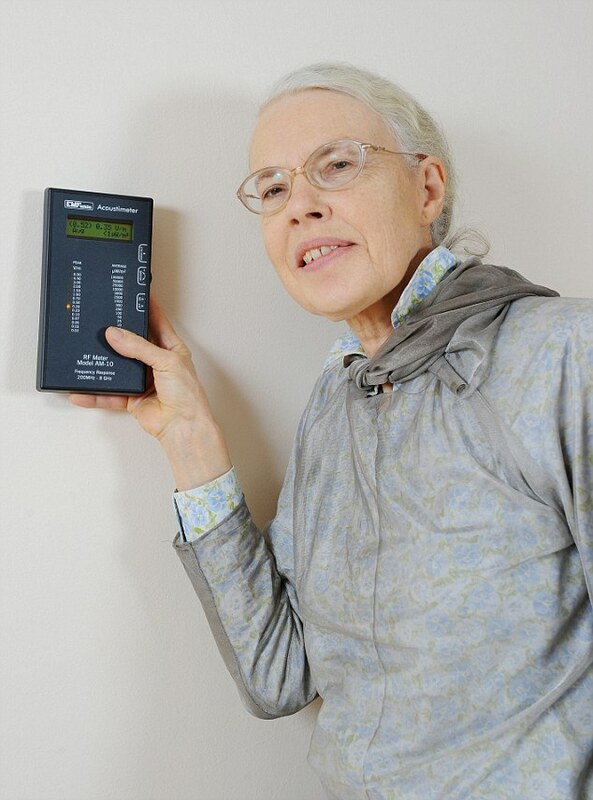 Dr. Magda Havas, a renowned international expert on elctromagnetic radiation (EMR), says “dirty electricity” is a growing worldwide health concern. Today, few of us would want to discard our electronic devices. But I never realized how modern electrical gizmos generated so much dirty electricity. Dr. Havas says clean electricity originally powered our homes and workplaces, using a safe frequency of 60 Hertz (Hz). Today, transformers convert 60Hz to low-voltage power for electronic devices. This creates micro surges of dirty electricity that contain up to 2,500 times the energy of a conventional 60 Hz electrical system. In effect, we’ve created electrical pollution, a contamination that’s not good for us. I discovered it’s easy to get fooled by dirty energy if you’re not an electrical engineer. For instance, our home has several dimmer devices. I naively believed this was a prudent move, but these devices, along with fluorescent lights, energy saving light bulbs and electrical entertainment centres and computers, generate dirty electricity. In fact, they generally emit more electromagnetic exposure than power lines. If you want to get a major dose of dirty electricity, use a hair dryer. This device uses up to 500 times more dirty EMR than microwave ovens, electric ranges and washing machines. This past week, I used a GPS device to keep me from getting lost in Boston. It showered me with electrical signals from 2,000 satellites in outer space. Most people are not aware of this invisible fog of EMR and its implications on our health. But it’s not fooling wildlife. Birds, bats and bees are known to abandon regions where cell towers are built. Scientists in Russia have been at the forefront of EMR research. During World War II, they noticed that radar operators often suffered from symptoms that we now attribute to EMR. And during the height of the Cold War, they secretly bombarded the U.S. embassy in Moscow with microwave radiation, causing radiation sickness in American staff. Later, in 2007, a collaboration of scientists from the U.S., Sweden, Denmark, Austria and China released a 650 page report citing 2,000 studies that detailed the toxic effects of EMR. It concluded that even low-level radiation could impair immunity and contribute to Alzheimer’s disease, dementia and heart disease. Other studies have linked EMR to miscarriage, birth defects, suicide, Lou Gehrig’s and Parkinson’s disease. In addition to these disorders, there’s evidence that EMR triggers cancer. In Australia in 1956, when television was introduced, researchers documented a rapid increase in malignancies in people living near transmission towers. Later, in the 1970s, Nancy Wertheimer, a Denver epidemiologist, noted a spike of leukemia among children living near electrical power lines. Other studies reached the same conclusion. What about the use of cordless and cellphones? A Swedish study suggests that those who start using a cellphone as a teen have a five times greater risk of brain cancer than those who start as an adult. Next week, I’ll report on the xZubi device, a small disk that protects you from dirty electricity from cellphones. wireless technologies have become fugitives in their own country. for instance, on employees who claim to be allergic to perfume. Litigationover that issue has gone as far as the U.S. Court of Appeals for the Third Circuit. doctors will call it an allergy — to electrical and radio waves*. CityCouncilor had a point when he noted that the city is already saturated with wireless signals. how they will react if the issue comes to the fore*. A woman who claims she is so affected by electricity she feels ‘allergic to modern life’ has persuaded her neighbours to stop using wi-fi. Janice Tunnicliffe complains of constant headaches, chest pains, nausea and tingling in her arms and legs when near any electrical devices. The mother-of-two has thrown out the toaster, kettle and microwave, exiled the washing machine to an outhouse and persuaded neighbours to use cable internet instead of wi-fi because the electromagnetic waves could trigger her illness, known as electrosensitivity. The 55-year-old cannot watch TV or use the internet so her nightly entertainment is playing board games by candlelight with her husband, Carl. Mrs Tunnicliffe, of Mansfield, believes her troubles began after she received chemotherapy for bowel cancer three years ago. She said: ‘iPhones make me feel really sick within about 20 minutes of being near one. Wi-fi makes me feel like I have a clamp at the back of my head which is squeezing the life out of me. However, to date, scientific studies into electrosensitivity have cast doubt on whether the condition has anything to do with the presence of electrical items. 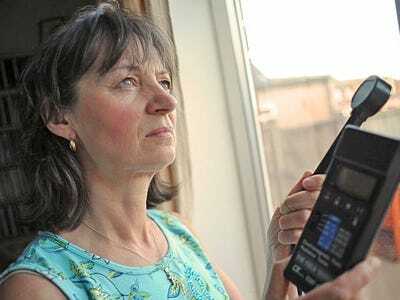 Swedish couple Bo and Sonja Fredburg say that they suffer discomfort from electromagnetic waves. Ten years ago, they moved to Varmland, a beautiful stretch of Swedish forests and frozen lakes, beyond the reach of any cellular tower or wireless signal. Much of modern life — the buzzing of cell phones, the humming of laptops, the ubiquity of wifi — is enough to give anyone a headache. But what if electromagnetic waves really did make you sick? For people who call themselves “electrosensitive,” life in our plugged-in world is becoming increasingly unbearable. As they define it, electrosensitivity syndrome is characterized by headaches, rashes, nausea, fatigue and even fainting when sufferers come too close to electromagnetic radiation. Although electrosensitivity is not recognized as a medical diagnosis, it’s a condition those in Europe are especially concerned about — in fact, earlier this month, leaders from the Council of Europe pushed to ban cell phones and wifi in schools, the Telegraph reported. Most people who complain of electrosensitivity are only mildly bothered by electromagnetic waves, but some say the health affects are so severe that they’re unable to live comfortably in a city. To find more about the extreme end of this condition, TODAY took to the remote forests of Sweden, a country that recognizes electrosensitivity as a functional impairment. That’s where Bo and Sonja Fredburg live — in Varmland, a beautiful stretch of Swedish forests and frozen lakes, a refuge for a band of electrosenstive fugitives, beyond the reach of any cellular tower or wireless signal. The Fredburgs have been living without electricity — no TV, no radio, no refrigerator, no electric lights — for 10 years. The Fredburgs’ only gadget is a 50-year-old telephone. Susanne Jislon says wifi triggers her electrosensitivity symptoms. Here, she uses an old-fashioned typewriter in her home in the remote forests of Sweden. When visited by the TODAY team, the Fredburgs insisted the reporters remove the batteries from their cell phones and abandon the hi-definition camera they’d normally use. Instead, the team shot the segment with a 20-year-old VHS camera, which the Fredburgs say causes them less discomfort. The couple said they immediately felt the health effects when the camera crew entered their home. “I get sort of shaky, and the heart gets effected,” says Bo Fredburg. For Sonja Fredburg, “The most prominent thing is the burning sensation in the skin,” she explains. Still, many psychologists and neurologists believe that electrosensitivity symptoms are all in the mind. Elaine Fox, a psychology professor at the University of Essex, has studied people in the UK who believe they have the condition. She and her team wanted to see whether electrosensitive people could tell if a hidden cell phone antenna was turned on or off, using 50-minute exposure tests. “What we found, overall, was actually that people couldn’t tell above chance, so they were really … just guessing, in terms of whether it was on or off,” Fox told TODAY. But some experts, like neuroscientist Olle Johansson of the Karolinska Institute in Stockholm, Sweden, contend that people like the Fredburgs aren’t imagining their condition. Johansson investigates the health effects of electromagnetic fields on the body, and he told TODAY that he believes the long-term effects of exposure to electromagnetic radiation is worrisome. “The long-term effects points to an association to things like brain cancer, leukemia, neurological diseases,” Johansson says. Back in the secluded Swedish forest, the monthly book bus provides a link to the outside world, and a chance for the electrosensitive to socialize with each other before retreating to their homes, where forests and frozen lakes serve as a stunning backdrop. For more stories like this one, “like” TODAY Health on Facebook, and follow Melissa Dahl on Twitter @melissadahl. A woman who suffers from EHS (electrohypersensitivity) was granted a financial award after an inquiry by HSAN, the Swedish medical disciplinary board. The physician’s employer, the Health Authority of Kalmar County, was fined 60,000 SKR (about 9,000 dollars). Subsequently, the Health Authority terminated the physician’s contract, which had been procured through VikTeam professional employment services. It was the woman’s sister-in-law who advised her to report the physician to the authorities after hearing about the demeaning consultation. Consequently, the woman wrote down a comprehensive report of her appointment and phoned the Office of the Discrimination Ombudsman for support. The reception she received from the staff was very encouraging throughout the ordeal. They reassured her that if necessary, the case would go all the way to the District Court. The disciplinary hearing revealed the doctor’s notes, which in part read: …this is a super neurotic person…she says she has electrohypersensitivity. The woman had been hoping for some form of restitution for the discrimination she had experienced, but did not anticipate she would receive a financial reward. 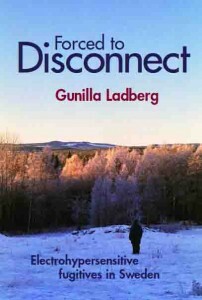 read Forced to Disconnect by Gunilla Ladberg, PhD. English version 2010 (Swedish version 2007). By Alexa Tsoulis-Reay March 29, 20158:30 p.m. But those who suffer from acute symptoms would beg to differ. 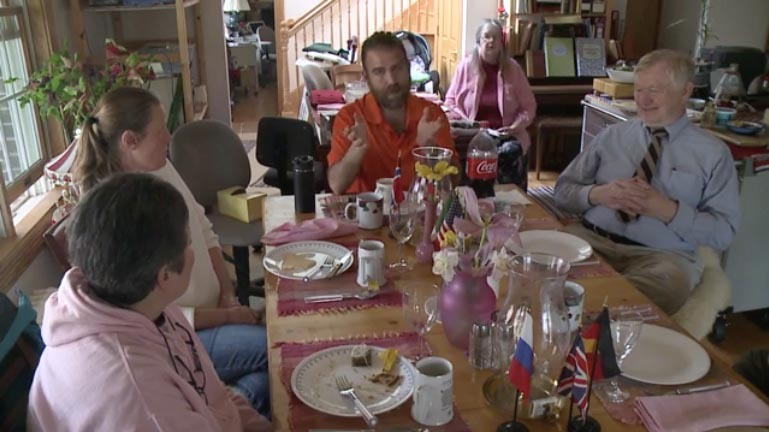 There are support groups across the world and communities of electromagnetism refugees gathering in places like Green Bank, West Virginia – a town where most forms of electromagnetic radiation are banned. EHS activists cite the work of scientists like Andrew Marino, who, in a case reportpublished in a 2011 edition of the International Journal of Neuroscience, used double blind tests to show that EHS “can occur as abona fide environmentally inducible neurological syndrome.” Setting aside stereotypes of pasty recluses living in aluminum-insulated houses reading library books by organic candle light, what is it actually like to experience extreme physical symptoms seemingly brought on by electromagnetic fields? I brought a laptop along so she could test me with it and without it. She said she knew my symptoms are real because every time she uses her laptop she feels nausea. So we did the testing. But I didn’t know the Wi-Fi was causing my symptoms and when she tested me the Wi-Fi was off, so it’s not surprising that they didn’t find anything wrong. She called NYU’s occupational clinic to get their opinion. They said they’d heard people say they feel sick from using the computer but there’s no scientific evidence to support it. I was always into gadgets and electronics and computers – well, maybe not always. Both of my parents are computer people — they met at a computer course. I started learning computers at school in ninth grade, but I didn’t really like it and all my parents did was talk about computers. So, back then, I actually hated computers. When I joined the army, I thought it was a bad joke when they put me on the computer track. I ended up commanding the computer center for the army’s headquarter and for the operation center, serving more than 600 users with computers networks including the prime minister and chief of staff. So I spent two years sleeping in a room that had dozens of wired routers and monitors and computers – but this was not wireless. It was one of those jobs where you don’t want to remember everything. When I finished it was almost like I did a control-ALT-delete to my brain. I forgot everything I’d learned about radio frequencies, antennas, and all that. After a few months my body started to recuperate. I could tolerate electricity again so I could work on the computer. I began to dedicate my time to expose the harmful effects of wireless signals and work towards the recognition of electro-sensitivity. Around that time, my sister told me that they put Wi-Fi in my niece’s school in Israel and I was surprised to learn this because I knew of an earlier decision by the government that schools should prefer the use of wired internet. I decided to fight the government — I just couldn’t think of children going through what I’d been through. Yes, but it is a theory. Something in the first computer caused the appearance of the symptoms. I think something was defective and probably created a strong electromagnetic shock to my body. It may be that the accumulated use of wireless technology and the fact that at the time I was sleeping three feet from a circuit breaker weakened my body, and then that laptop may have been the “last straw.” I will never know the definitive answer to this. Allergic to TV and mobile phones: Is ‘electromagnetic hypersensitivity’ real? A growing number of people are blaming their health problems on mobile phones and television, saying they are allergic to electromagnetic fields. But is it all in their heads? 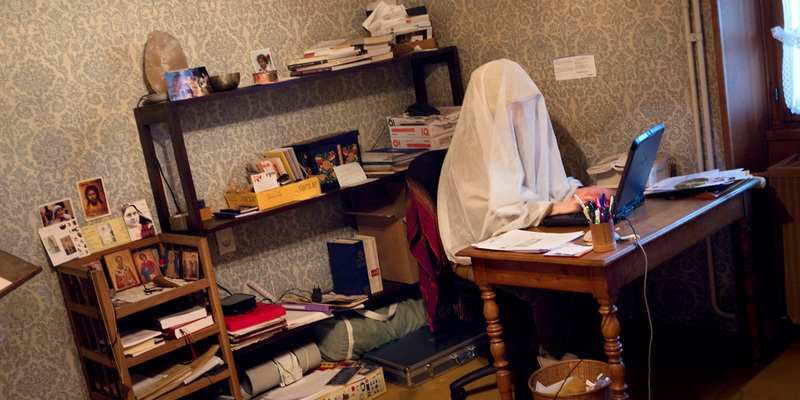 Bruce Evans has been living with electromagnetic hypersensitivity (EHS) since 2007. While there is no medical diagnosis for the condition, it is characterised by a range of symptoms which sufferers attribute to exposure to electromagnetic fields (EMF), particularly those caused by broadcasting devices. The most common symptoms include dermatological symptoms, nausea, headaches, and tinnitus. As societies industrialise and the technological revolution continues, there has been an unprecedented increase in the number and diversity of electromagnetic field sources, and a corresponding increase in concern about possible health risks. While the World Health Organisation recognises that the symptoms experienced are certainly real, “there is no scientific basis to link EHS symptoms to EMF exposure”. Bruce first felt symptoms when he was living in Collingwood, Melbourne, after he started using an iPhone. “It was like someone stuck an ice pick in the side of my head,” he says. He was slow to accept the label of EHS, but the connection became too strong to ignore. “Things just gradually got worse and there was always a correlation between exposure and symptoms… You try to explain it to people and they just think you’re a lunatic, but it’s very real,” he says. In 2002, Sweden became the first country to formally recognise EHS as a physical impairment, largely because of the efforts of Olle Johansson, Associate Professor of Neuroscience at the Karolinska. He has long warned about the health impact of exposure to electromagnetic fields, and places the number of electrosensitive people in Sweden at about 250,000. Rodney Croft, Director of the Australian Centre for Radiofrequency Bioeffects Research, has been coordinating studies in to radiofrequency effects on brain function. “There are certainly people around the world who are convinced that this is a big problem,” he said. But he is unequivocal that no connection between the described symptoms and exposure to EMF has been found. 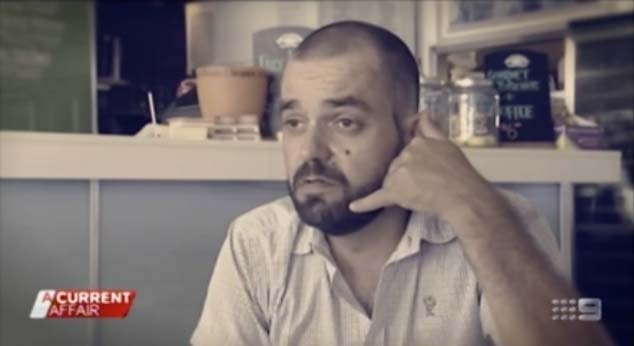 Bruce relocated to his father’s farm in Benalla in regional Victoria, where he is able to function, but he believes the respite is temporary. “They’re closing every black spot, they’re eliminating every piece of refuge in the world,” he says. However, there is a region in the United States to which many sufferers of EHS are flocking. Green Bank West Virginia is home to one of the world’s largest telescopes. In order for it to operate without interference, the use of wireless communication devices is prohibited. Its inhabitants don’t have television or radio antennae, mobile phones, or wifi, and it’s become a haven for people with EHS. Diane Schou has a PhD industrial technology and biology. She describes herself as electrosensitive. She moved to Green Bank in 2002 after experiencing severe headaches. Both she and her husband Bert believe these were triggered by emissions from a mobile phone tower near her home in Iowa. “It was about two or three in the morning. I told my husband that I had a headache and I just couldn’t sleep and he said ‘Well, we’re leaving’. Twenty minutes later we were out the door and I haven’t been back since,” she says. Diane’s symptoms lessened in the six-month period after moving to Green Bank. “People in Iowa who knew how ill I was are amazed by how much better I am,” she says. She admitted that it is difficult for visitors to accept life in the small town. “They go through a culture shock. We don’t have a Starbucks, we don’t have shopping malls, we don’t have many restaurants.” Diane also doesn’t have central heating or a microwave. WEST VIRGINIA – There is a group of people in West Virginia who are living off the grid. They say it’s a matter of their health. Rashes, seizures, headaches and blisters are some of the symptoms of a condition called electro hypersensitivity. And many of them like it that way, because they say that being anywhere near wireless technology makes them sick. Fox 8’s Todd Meany spent some time in Green Bank with them and he has their story, above. Nic explains in this video interview that he suspects his cell phone caused the brain tumour. “Yost and his family recently moved to Egegik from the Upper Peninsula in Michigan–part of a search to find an environment agreeable with the oldest daughter of the family’s health. Eighteen year old Sarah Yost suffers from a rare condition called Electromagnetic Hypersensitivity, which gives her symptoms similar to Fibromyalgia brought on by wireless radiation. She feels ill in areas concentrated with wireless internet, cell phones and cell phone towers.The Yost family traveled the country for the better part of the last two years, searching for a place far enough removed from modern technologies, where Sara could feel healthy. A woman has told of her “heart-breaking” medical condition that means she has been made housebound by the electromagnetic waves in our atmosphere. 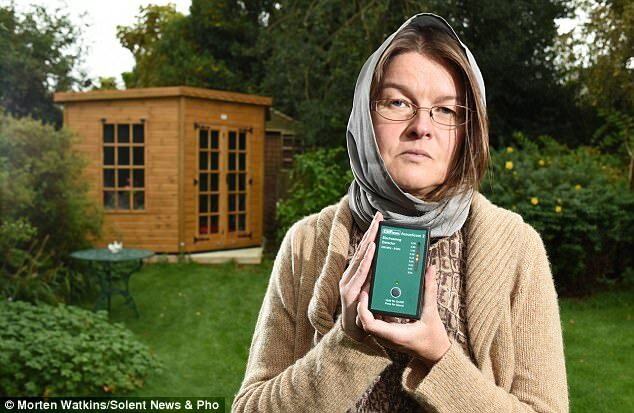 Kim De’Atta suffers from electromagnetic sensitivity meaning the signals coming from our mobile phones and Wi-Fi make her ill.
She can rarely leave her home in Chard and has to go to places where there is little mobile phone signal to stop her suffering symptoms. As a result of Kim’s illness she can rarely see friends and family because travelling is too difficult. She said: “Most of the time people think I am mad. It is so difficult because people are not feeling it themselves. “I have not seen friends and family for so long. I have had two visitors for half a day each this year. It’s heart-breaking really. “The only place I can go is Crewkerne or Lyme Regis as if I go anywhere else I get some serious symptoms. “I had not seen my closest aunt for ten years and she didn’t really understand why. We were so close before. “I could not bare it anymore and she was 91 at the time. I had to wear my shielded bed net over my head and you can imagine I got some funny looks on the bus. The electromagnetic waves emitted from mobile phones, televisions, Wi-Fi and other electronic devices give Kim debilitating symptoms. She can suffer with migraines, fatigue, infections, pins and needles and allergies, as well as problems with her nervous system. To try and protect herself at home she wears a shielded head net and sleeps under a shielded net. Kim said: “I found out about Electrosensitivy UK (ESUK). A chap phoned me and he was so helpful and said I needed to get shielding. The condition has been brought into the mainstream over the last few years because of the Netflix series Better Call Saul. One of the main characters, Chuck, suffers from the condition and has to wear a jacket lined with foil if he wants to go out. Whenever he makes a trip to the law office at which he works people have to handover their mobile phones because of the signals they omit. There are parallels that can be draw between Kim’s symptoms and those of the character on the show. Her problems started at the age of 16 when she was living in South London and found modern advances in technologies would cause her increased health problems. She said: “It started when I was 16. After I had left home I realised what was happening was I was becoming more and more sensitive to TVs. If I stayed away I didn’t have any problems at all. “When I started working as a staff nurse that’s when the serious problems began. I worked a lot in intensive and it was just when mobile phones were coming in. I thought I would buy one so they could call me if there was an emergency. Her symptoms were getting too serious so she had to move to the South West to escape the electromagnetic waves. 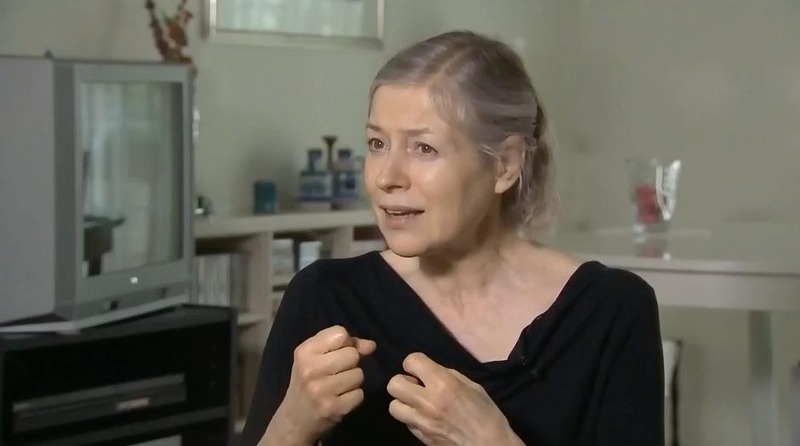 She said: “Aged 30 I decided to live in Glastonbury where I was going to teach meditation and Eastern philosophy. Everything was going really well for a couple of years and then they put a mobile phone mast in the middle of Glastonbury. “I now realise my health started to deteriorate from that point and I started to experience migraines, fatigue and infections. “At first the doctors thought I had a slipped disc in my back but that wasn’t the case. When I saw another doctor he said it was something in the environment and could be to do with the electromagnetic fields. Kim had to leave Glastonbury because of the advances in mobile phone technology that gave her serious symptoms affecting her health. She said: “When the 3G went on my health went into serious problems. My nervous system started going into overdrive. My head felt like it was going to implode and explode at the same time. “I was also getting breathlessness, heart palpitations and lower back pain. I had started to suffer from serious ear aches and was becoming really sensitive to light. “I had to ask a friend to pick me up because the pain was so tough and that was it, I could not live in Glastonbury any more. Since returning from her world trip she has moved to a property near Chard where there are not too many mobile phone signals. She wants to highlight her plight and try and force the government to take her condition seriously. Kim has had to perform her own research on the topic and discovered more than 20,000 papers have been written across the world about the effects of electromagnetic waves on the public. Velma Lyrae believes that Wifi is a threat to the well being of some people. She discusses her viewpoint at Climate Camp 2009. MEET the woman who lives in a protective cage — because her system can’t cope with pulsed microwave technology. When Velma, 51, gets close to mobile phones, satnav or wifi or other pulsed microwave signals, she is badly affected and has to spend hours in her home-made Faraday-style chamber. Velma, who has electromagnetic hypersensitivity syndrome, passes the time reading, doing artwork and writing letters instead. To protect herself from pulsed microwave signals from industrial WIFI she will sometimes wear a special scarf when going into shops. Her condition emerged when 3G mobiles were introduced. Though it is believed previous electric shocks make people more susceptible. As a teenager Velma suffered a shock when she touched the switch of an electric fire in her bathroom. At first the symptoms were barely noticeable but they have become progressively worse over time. 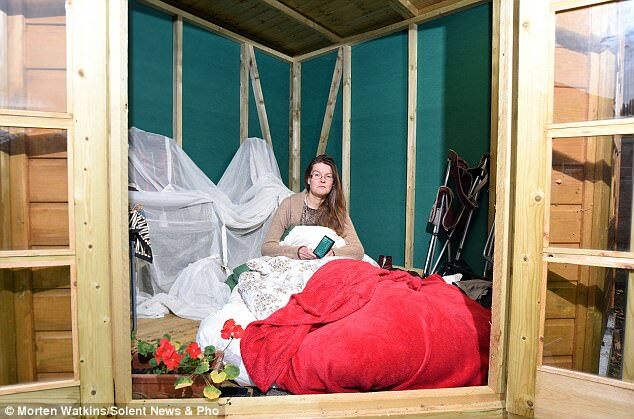 A therapist who believes she is allergic to Wi-Fi has quit her job and moved 230 miles from home to live in a shed. Rachel Hinks claims she suffers from electromagnetic hypersensitivity, with Wi-Fi signals from internet hubs and phone masts causing her severe pain. The 44-year-old first suffered sharp pains in her head, dizziness and heart palpitations in 2015. Miss Hinks, who worked as a children’s play therapist before quitting ten years ago, moved from Chichester, West Sussex to the Welsh Valleys to escape Wi-Fi signals. She said: ‘In Chichester there are at least 15 masts within a two mile radius of my house. Electromagnetic Sensitivity, also known as Electromagnetic Hypersensitivity (EHS) is a condition in which an individual experiences symptoms like headaches, dizziness, unusual heart palpitations, or insomnia, around wireless technologies or electrical devices such as smart meters, cell towers or WiFi boxes. EHS has no scientific basis and is not a recognised medical diagnosis. ‘In the past six months I have had to sleep in my car, pitch a tent in random bits of woodland or fields and even slept in a shed to try and escape the electromagnetic fields. ‘I’m utterly exhausted, both physically and emotionally, with trying to find places I can stay and be well. ‘My life now compared to ten years ago is unrecognisable – I have little social life or access to people I knew. ‘To try and recover a little and stop the pain I feel, I have been forced to temporarily come to rural Wales to get away from electromagnetic fields. ‘There are far fewer people here and fewer masts, and so it is easier to get away from things. ‘I have been staying in a cottage that a friend has up for sale, but I am having to move out of there and so I have no idea where I can go to next. ‘So far, the only offer I have is an old caravan but that has a broken gas heater and a bucket for a toilet. ‘I am in crisis right now and haven’t found a way of dealing with this alone, so I am trying to raise some money to allow me to buy possibly a camper van. Miss Hinks has so far raised over £1,600 through Go Fund Me, which a friend helps her manage, and is hoping to raise £15,000 to try and secure a more rural home. The self-diagnosed illness has been recognised as a disability in Canada, Sweden and the USA, however there is no treatment available for it on the NHS at the moment. “It’s like living in a microwave oven permanently”: Christiane Esteve, 73, has been suffering from electrohypersensitivity for over twenty years. Faced with the exposure of electromagnetic waves produced by a mobile phone or a microwave oven, she developed disabling symptoms. “I have constant headaches and now that Wi-Fi is everywhere, I have balance problems and nausea,” says the retired saleswoman at Europe1.fr. After receiving chemotherapy for bowel cancer three years ago, Janice Tunnicliffe developed a condition making it painful to be near any man-made electromagnetic waves. Television, radio, microwave, cell phones, an electric kettle — according to the Daily Mail, they all cause Tunnicliffe constant headaches, chest pains and nausea. Immediately home from the hospital, she started to notice the pain and its connection to electronics. It wasn’t until afterwards that I considered it might have been because of all the ‘electrosmog’ we were experiencing at home. Since then, she and her husband have removed most every modern convenience from their home and asked their neighbours to give up wifi to go back to direct cable connections. Despite ridding themselves of all electro-emitting devices and purchasing thousands of dollars in signal-blocking devices, Tunnicliffe’s suffering continues. Graham Lamburn, from campaigning organisation Powerwatch, said so far the medical profession has been slow to recognise electrosensitivity as an illness as its causes are as yet unknown. He said: ‘This kind of case is rare, but certainly there have been some people who have had to give up their houses and jobs because of ES. The concept of electromagnetic pollution, also known as electropollution, refers to the alleged existence of excessive exposure to electromagnetic spectrum (or electromagnetic fields ) generated by electronic equipment or other elements of human activity. The term “pollution” is used since it is suspected that certain electromagnetic fields could be a disturbing factor for living species, and may affect their health or reproductive habits. These issues are the subject of social and media controversy, and also of intense academic study, but to date there has been scientific evidence of adverse effects. Some electromagnetic fields at very high intensities can have harmful effects, mainly due to the thermal effect they can cause (such as the electromagnetic field inside a microwave oven ). See also: Radiation of mobile phones and health and Electromagnetic hypersensitivity . Concerned citizens from EMF advocacy groups have recently formed an International EMF Alliance (IEMFA); the IEMFA are leading supporters of the precautionary approach to Electromagnetic Radiation (EMR) and are supported by a growing global body of independent empirically-based scientific experts and international organisations from throughout the world. There is growing evidence about the possible health risks associated with wireless technologies. Four billion people own mobile phones worldwide, many of those users are children. Responsible governments must advocate for public transparency of risks so that an informed public may have more options to exercise precaution. The purpose of the IEMFA is to uncover and communicate the facts concerning electro-magnetic radiation on our and our children’s health and provide the public with research and information. The IEMFA are encouraging scientists, advocacy groups and government officials from all political parties throughout the world to join us in the call for the precautionary approach to low frequencies related to the use of electricity, and radio-frequencies related to the use of various wireless applications based on peer-reviewed published science. We are asking leading scientists, medical doctors, advocacy groups and politicians such as yourself, who are concerned about health issues to consider joining us in the call for the precautionary approach and would be honored if you would kindly consider including your name. What rights do we have any more who to comlpain to no one is listning to any one but industry $$$ children are comming we do not have this right to destroy our air waves damage brains and careless instaltions of good designed to ??? what ! ,tec. more important then the brains hearts of its people who can stop any of this … you can just by refusing to use buy into this all ,you can do something do your home work god our children are depending on us can they should they is it worth it think learn do your home work , thank you …any body out there,I can no longer use portabl phones cells only land lines speaker phones metal implants in mouth my mouth a conductor my brain goes off any where need cell towers , by this I mene it renders me unable to function my eye vision doubles I can not tell left/right drive , this is absolutly nuts come on folks wke up! I am now electrohypersensitive after putting the new low energy light globes or CFLs in my home close to my head where my lights are 3 years ago. I didn’t become ill until I had had them in place some months and then tried them another 3 times just to see! I then became sensitive to TV, Computers, phones, any fluorescent lights and was worse with perfume, gas etc. I have had extensive treatment through a German machine called the Cyber Trone which has helped enormously but is expensive. Am still sick but not as bad so need to avoid things especially wireless internet and mobile phones as much as possible. I believe if I could afford the Cyber Trone treatment for ever I may be well again but unable to do that. I believe something should be done to make all these things safer anyway. Be aware that we are probably more prone if we already have heavy metals, pesticides, chemical sensitivities, and parasites in our bodies but many of us do! Isn’t there any kind of shield that could me made for cell phones? They are right next to our brains for goodness sakes. Then you start thinking of the pesticides and other chemical abusers, it just gets overwhelming. I can’t help but believe with all of the technology we can’t come up with something to protect us from the technology. After some months away from the Cyber Trone treatment I have managed fairly well except for mobile phones and wifi which I have to keep out of my home as much as possible. Then I can go out for a while with mobile phones around me with minimal problems because when one no longer has them in one’s home you seem to repair a bit and can tolerate them more for a while, but I think it is best to minimise as much as possible. Since the Cyber Trone treatment I can also use a computer, watch TV, have halogen lights in my home but try to avoid all types of fluorescents. I now use only a land line phone and hard wired internet connection but became unexpectedly worse again about 2 months ago and found retrospectively that at exactly that time smart meters were put in my neighbours’ homes. I have been deferred from receiving a meter in my home at my request so I didn’t know they had gone in around me. I then had my house checked again for EMR and was told the power lines in front of our bedroom are probably what led to my EHS susceptibility in the first place, along of course with my previous chemotherapy, chemical sensitivites, pesticides as a child and ? parasites in the gut which they say most of us have. I then discovered that 6 of us in the nine houses of our block living here over the past 10-20 years have all had cancer over the past 10 years and two of those were brain tumours, so I have now written to our energy company to try to get our lines put underground. Meanwhile I have been getting sicker again despite anything else I try and am having great difficulty taking pain, anti nausea or in fact any other sort of medication needed without adverse EHS symptoms and as nobody seems to know what to do about this I have finally decided yesterday that despite the cost I will go back on the Cyber Trone which I’m sincerely hoping will help me again and maybe forever. It is well worth the effort for anyone with EHS as the treatment enables you to live in the real world again. I still believe however we should also continue to try to educate people and limit the escalation of EMR appliances before it its too late. Jerry Flynn speaking at BC Firefighters Hall on Sunday Feb 17 2013 2-4 PM about the Hazards of Wireless Radiation – I hope you can make it! Please do keep me updated.Trusting some one will hear our cry’s and more research done to protect everyone before its too late.